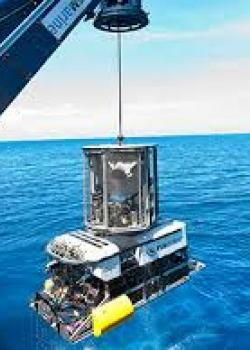 The Cook Islands is exploring the benefits and potential of its deep sea resource. Beneath the sunlit zones, where the country's tourism and fishing industries lie, is a largely unexplored and untapped expanse of promise. Also unexplored is the environmental risk and potential threat to other parts of the economy. This report from Radio New Zealand International's Dominic Godfrey. Five kilometres below the surface of the Cook Islands exclusive economic zone lie manganese deposits which could provide a pathway to prosperity for the country. The problem is not just getting them to the surface but the environmental impact this may have, as New Zealand's principal ocean scientist Malcolm Clark explains. MALCOLM CLARK: "The deep sea is a very poorly understood system. There are no boundaries in the oceans and so - coastal, continental shelf, deep sea, inshore, offshore - it's all linked. And that's especially important in the Pacific Island countries where we're fairly small land-masses in the middle of a large ocean. So the connectivity across potentially quite large areas of ocean space is very important to understand." Dr Clark says while the actual area of mining may be small, the impact could encompass large areas. MALCOLM CLARK: "In digging up these resources, there's going to be disturbance of the sea bed and the sediment that's been sitting idle is going to be demobilised and it will form a cloud. And that's going to start to move with the currents, away from the area of direct physical impact. That's an aspect that we don't yet well understand but what the effect on the sea-floor communities, the sea-life, we're not too sure at the moment. We're working on that in a number of research programmes around the world." The co-ordinator for the Pacific Network on Globalisation, Maureen Penjueli, says the lack of understanding is a major concern as Cooks' seabed legislation contains no reference to avoiding international harm. She says the 2009 Seabed Minerals Act also has no provision for 'precautionary principle', where human activities could plausibly result in unacceptable harm. MAUREEN PENJUELI: There was very little understanding about the potential impacts. There was an over emphasis on the potential economic benefits. So the legislations were set up under the broad narrative that seabed mining was considered small risk, very high return." Maureen Penjueli says it was drafted with no provision for the possible impact on tourism, fishing and black pearl farming. MAUREEN PENJUELI: "When you consider that our economies are heavily dependent on the ocean - our people are heavily dependent on the ocean for livelihoods, food security - that's quite problematic in terms of the current legislation." However, the country's Seabed Minerals Authority commissioner Paul Lynch says 'precautionary principle' and environmental issues were front and centre to the original Act. He says it was amended in 2015 and is under continual review with input from Ms Penjueli and PANG welcome. PAUL LYNCH: "We're very open to that but currently we've got the act out for review and we're expecting that out to the community next year and into Parliament should there be any changes needed." But Lynch says this year the Marae Moana Act was passed to provide a holistic umbrella to all aspects of the Cooks' marine management. He says its ground-breaking national legislation that has conservation as its main plank. PAUL LYNCH: "With zoning for different users, like zoning for fishing, zoning for tourism, zoning for mining. Mining if it takes place in the future, it's going to be quite contained and controlled based on a zoned management marine spatial plan." In zones beyond the Cook Islands in the north-east Pacific, mining projects are underway managed by the International Seabed Authority under the UN's Law of the Sea. The environmental organisation Te Ipukarea Society's Kelvin Passfield says the Cooks should learn from these. KELVIN PASSFIELD: "I'd be inclined to wait and see what the environmental impacts outside of our EEZ were before allowing any mining within our EEZ. The Cooks can wait and see what happens in other jurisdictions or in the high-seas like the Clarion Clipperton Zone and determine what impacts there may be from them." PANG'S Maureen Penjueli agrees but points to Nautilus Minerals' plans to mine Papua New Guinea's Bismarck seabed. MAUREEN PENJUELI: "If you simply take PNG as the case study, the Solwara 1 project, it is clear that impacts have already been felt. You don't have to go into it to look at the impact, you can look at PNG." An annual report from the Canadian company shows both the environmental impacts and profits from the project are unknown. In the Cooks, Texas based Ocean Minerals has 17 months left in its agreement to apply for manganese nodule prospecting and exploration licences but with weak global demand for rare earth minerals, the economics may not stack up.